The National Turf Writers and Broadcasters will salute American Pharoah and the team that molded him into the first Triple Crown champion in 37 years to highlight its 56th annual awards dinner on Oct. 28 at the Griffin Gate Marriott in Lexington, Ky. 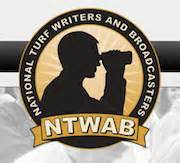 They continued in their press release that members of the NTWAB also voted to honor Eclipse Award winners Tom Hammond of NBC and Tim Layden of Sports Illustrated, Cathy Schenck of the Keeneland Library, and distinguished turf writer Bill Mooney. Tom Leach, the voice of the University of Kentucky, will emcee the dinner. Ahmed Zayat, owner of American Pharoah, trainer Bob Baffert and jockey Victor Espinoza will be presented with the Mr. Fitz Award for typifying the spirit of racing. Zayat’s willingness to showcase the 12th Triple Crownchampion whenever possible put the national spotlight on the sport and delighted fans. Baffert and Espinoza played critical roles in helping American Pharoah complete the historic sweep. The Mr. Fitz Award is named for the legendary trainer “Sunny” Jim Fitzsimmons. Hammond will receive the third annual Jim McKay Award for broadcasting excellence. The Lexington, Ky., native hosts NBC’s coverage of the Triple Crown races as well as “Summer at Saratoga” and the Breeders’ Cup. He holds a master’s degree in equine genetics from the University of Kentucky, providing him with extensive knowledge that he conveys to viewers in language that is easy to digest. He is a two-time Eclipse Award winner who earned an Emmy for his role in NBC’s telecast of the 1992 Breeders’ Cup. Cocktails and a silent auction, featuring autographed racing industry collectibles, memorabilia and prominent stallion and race-winners halters, will begin at 6:00 p.m. Dinner to begin at 7:30 pm and Awards Presentations to begin at 8:30 p.m.